Not all great concepts come in the form of new business ideas; some come from successful companies who decide to take their idea one step further to capture a new audience or improve the scope of their appeal. The latest business to announce that changes are in the works is the Disney Store brand, and Disney fans can expect something fantastic! 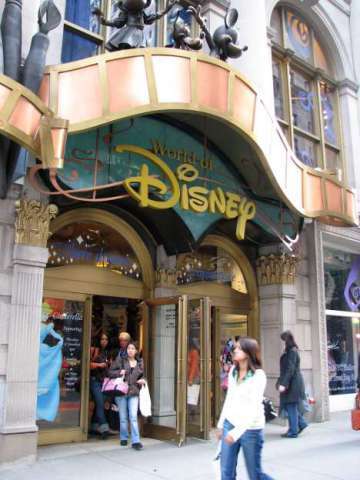 Disney Stores are already extremely popular in North America and Europe, but on their quest to take over the world (with a focus on happiness for all, of course) they've decided to broaden their horizons and introduce a theme park environment to shoppers in the 360 stores they have around the US and Europe. New features in the stores, after they receive this massive facelift will include karaoke, opportunities to interact or chat with Disney Channel stars and theaters to watch exclusive clips. Let's be realistic, Disney's already most of the way there when it comes to their mission for taking over the world; that's how in an economic downturn they're able to overhaul one of their brands to make it into something bigger and better. It's a fun idea, and an advantageous move on the part of Disney!